What is compassion? Compassion to me, is showing love and kindness toward others, giving them a piece of your heart, and asking for nothing back in return. I am blessed to work with clients and their families everyday, and to spread compassion to people who might not receive it otherwise, or often. I recently had the opportunity to visit a client who was in a rehabilitation center in Boca Raton, Florida who was recovering from a broken hip. I went to visit her to check to see how she was feeling, and I also wanted to make sure that she knew that I was thinking of her. “I came to see you because I care about you, and I want to see how you are feeling.” I responded. It made me feel really good that I could show her love and kindness. Stopping by to visit was such a small act from me, but it made a big impact with her. 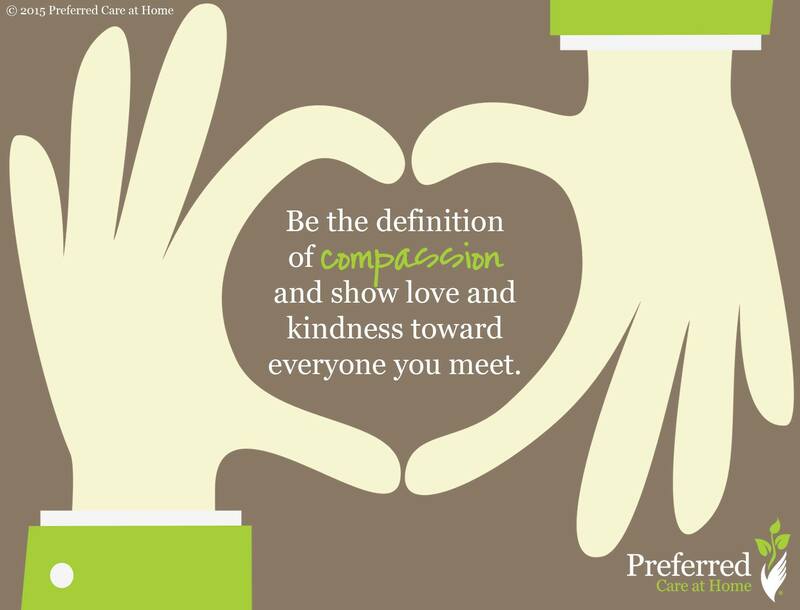 At Preferred Care at Home, we believe that compassion makes all the difference. There are many ways to show compassion and they can be as simple as calling to check on someone who we know is sick, or by visiting him or her if they are in the hospital. Showing compassion can also be as easy as taking the time to really listen to others. We get so caught up in trying to “fix” everything, when often times, people just want someone to listen to them, know that they are heard, and that their feelings are validated. I challenge everyone to be the definition of compassion and to show love and kindness toward everyone you meet.